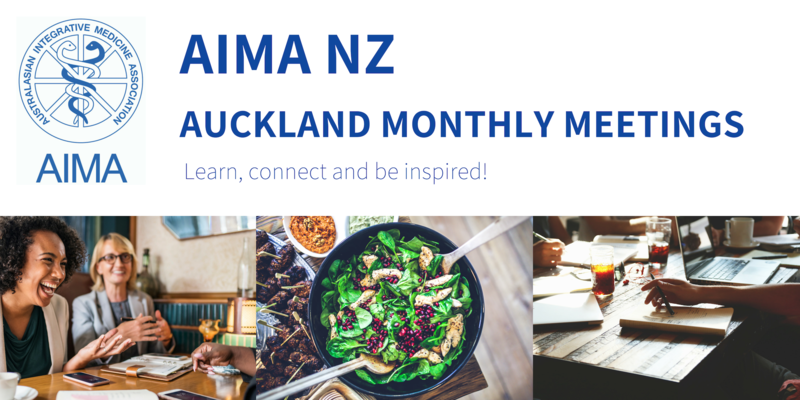 AIMA Auckland Monthly Meetings offer the chance to learn about a new topic of interest in the integrative medicine field as well as the opportunity to meet and network with like-minded practitioners in an informal setting. We all attend many interesting workshops and conferences, but sometimes it is interesting putting it all together and into practice. In this evening presentation, Dr. Helen will present some cases from her weekly clinical work and show how it works out between medical practice and using some hormonal, nutritional medicine input for her patients. Tickets: $40 – dinner and presentation or $20 presentation only. Click HERE to book tickets. Tickets must be pre-booked. Dr. Helen Smith trained at the University of Western Australia. Her early hospital years covered a variety of medical rounds both city-based and rural. On arriving in New Zealand in 1996 she entered the Royal NZ College of GPs training program and worked in lower socioeconomic Avondale followed by a long jaunt in an integrative Holistic Medical Centre where GPs worked alongside naturopaths. Since 2011 she has worked from her Auckland Central based private integrative practice seeing patients for a variety of conditions. Often with an emphasis on support around the peri-menopause or menopause.